At the end of last year, I suggested that people forgive. Forgive others and forgive themselves. And if you know you did wrong or someone else did wrong, forget the blame and emotional energy, let go and just don’t repeat it. For this Chinese New Year we are at a time when it really pays to look over a long period of time and start changing what we all do so that things can work out much better for the long haul. The Year of the Water Dragon is a special type of energy that only occurs every 60 years. It interesting that this falls during 2012, the supposed end of the world or the dawning of a new global spiritual awakening depending on whom you talk to. I want to give you a few perspectives on the Year of the Water Dragon that you may find interesting. The water aspect of this year brings ease and good luck to practicing everything within all Taoist water method practices. When we say water practices we are not talking about jumping in a pool or the ocean. Water tradition practices in Taoism are specifically about allowing things to happen naturally and without effort. They are more about letting go to see what is already there. The opposite to this is the fire method which is about force and pushing yourself to the edge. Right now everywhere paralysis is taking over. More than ever find ways to take small actions, rather than just living in a dark mental soup that is the status quo for many. Think a bit less and act a bit more. You can analyze problems forever but analysis is not a solution it is only the beginning of a solution. When you begin with small things within your power and do it, you’ll find that as the year grows and the decade grows you’ll find that you will be able to do more and more positive things. Part of this is to engage in meditation in whatever way you can so you can simply let go of what is stopping your creative potential. Small things add up. They can change the world, especially when done collectively. Likewise in this, in all Chinese astrological water years, the best time to enhance your creativity in personal practice is between 7 am to 9 am. If you can find the time and space in the morning this would be the best time to do your tai chi, qigong or meditation practice. 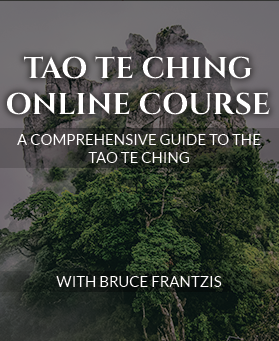 If you can practice Taoist outer dissolving, as I teach in Energy Gates Qigong, this is an especially useful practice this year. So we have talked about water now lets combine that with the energy of the Dragon. Ancient China’s celestial dragon represented the Emperor in power, strength, and good fortune. It is the ultimate auspicious symbol of success, wealth accumulation, and happiness. The dragon is known as bringing great luck to everyone but only if they applied focused effort as you would do in a personal practice. You might ask yourself what personal practice you will put in place and what conditions will you setup for yourself so that it is inevitable that you will achieve your goals this year. Powerful and unpredictable, you can trust the dragon’s intuitive nature that is of fearless, forward looking, great at analyzing situations and then taking action. If we remember the qualities of water you’ll want to remind yourself to move forward not through force, but by constantly watching the flow and adjusting accordingly. When you do this, you have an opportunity to make 2012 an awesome time for creating more abundant inner knowledge and understanding in many areas of life. This time can both be transformational for world events on a macro perspective and an important tipping point for the life of the individual, through an increase in perception. There are lots of positive energies for growth at work. Water dragon has enough courage to both face challenges and easily find and overcome weak points. Water calms the dragon sufficiently so he can project his energy positively, direct it sensibly, rather than recklessly and foolishly. Dragon years are connected to new beginnings, starting a business and finding happiness and good fortune. What do you want to start this year? What one or two things can you focus on that once achieved could change your destiny? What one practice would you train and master if you knew that you could not fail? This year is also an exceptional time to resolve old issues. Make a list of any unfinished or unresolved issues and then take action to bring them to completion. I recommend starting with the easy things first. Owe someone $50 then pay it. Need to clean out a room then do it. Caught up in a crazy relationship, then end it. Once you do this you will create space for the new. Then you can focus on building a strong, new inner foundation. The first part of this dragon year appear to be relatively uneventful. Best to use this time to prepare for the Spring, when the dragon influence will grow in you and you will be able to move forward with ease and grace. The early months are also an ideal time to become aware of your inner weak points then decide what actions you can take to move through them. For if you do, in the future it will greatly show you how to be resourceful and adaptable when faced with difficult external or internal challenges. Actions begun earlier in the year will grow into fruition the second half, with a steady flow of additions, corrections, and positive developments. I wish you the best for this year and hope to see you along the way. It turns out I will not be able to attend the Dragon and Tiger Instructor training after all. Im a bit bummed but I realize it is what it is. Until Im able to attend one of your events I’ll continue to learn from all the wonderful resources you and your instructors have made available. I hope you can continue to publish more books that allow people like myself to learn Energy Arts from a distance. Is it a goal of yours to write more how-to books/dvds on your other chi gung sets as you did with DT and Energy Gates? I’m looking forward to the online DT course. Even without master skill, I started out the Chinese New Year with a bang. (I’m one of those not so “good teachers” that you usually describe at the end of your books–no lineage, no transmission, not fairly well-balanced, I don’t know enough to debug my systems, I have only studied a few systems–I have all the bad traits). So I teach mainly seniors who have no idea what tai chi is. Movement 2, Shifting Weight while Turning (very important for safety). I leaped ahead to the last movement (7) to celebrate the double auspicious year of the Fire-breathing Water Dragon. Why wait for another 60 years to pass? Man, did we have fun!!! the Black Dragon bringing back Pearls of Knowledge/Courage and Wisdom. We are loaded for a very tumultuous new year. Sorry that I corrupted your system. P.S. To be honest, I have practiced Tai Chi sincerely since 1993. I also have started your course on Bagua. Happy Year of the Water Dragon. Hi Mark, Yes it is difficult to do self-alignments. Best is to get to an instructor. If you know the main points to look for I am sure you probably know a mirror helps. For example in Dragon and Tiger one of the most common errors is to not be on the meridian lines which you can self-correct. Students often say when they come to a week of training or even a weekend they go away with practice material for the following year. The course we are launching with Bill Ryan has guided practices which is the next best thing to having a teacher in front of you. Good luck, Bruce. Happy New Year Sifu !!! It was interesting to find out that the video on the benefits of Dragon and Tiger Qigong is on a locked page that I don’t have access to. Please consider offering more trainings in the U.S., specifically on the east coast. What about a week at Kripalu or Omega? Retreat atmosphere with food on premises. Thanks Megan. We will be doing a few short events at Brookline tai chi and consider other venues as appropriate. We have taught at Omega, Esalen and occasionally at the Open Center in New York, however if less viable for us to do so in the future. Hi! We are very interested in taking your Dragon and Tiger Qigong online course. How do we sign up? 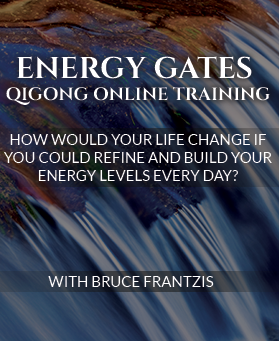 I am interested in your dragon and tiger qigong online course. I don’t have personal internet but get wireless on my laptop at the library. Are the course videos downloadable to my computer? 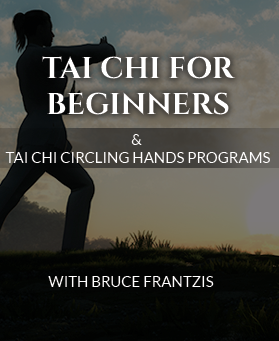 Hi Bruce, After watching the intro to Dragon & Tiger Qigong, I had my small Tai Chi class practice this movement as part of the warm-up. Later, this movement was extended in the practice of the Wave Hands Like Clouds movement in Tai Chi when stepping to the side! The movement is very similar and it is important to keep the hip joints open in both moves.